Let’s face it – the concept of starting up a nanobrewery is an idea many of us in homebrewing have entertained at one time or another. While most of us have just toyed with the thought, others have taken the plunge and put their money where their mouths are. To find out who these people are and what makes them do what they do, Tom and I embarked on a series of interviews with regional nanobreweries to get their stories. To kick off the nanobrewery interviews, Lug Wrench got the opportunity to speak with Bill Herlicka, founder of White Birch Brewing Co. Bill, a homebrewer for over 16 years and counting, started brewery production at White Birch less than a year ago in June 2009. Brewed primarily on two 26 gallon systems, White Birch beer is self-distributed to “enthusiast” beer stores around New Hampshire (and hopefully Massachusetts soon). Below is the first part of our two part Q and A interview with Bill. Lug Wrench (LW): What inspired you to start-up White Birch Brewing Co.? Bill (BH): I’ve worked many jobs, but always had a passion for brewing. While watching my prior employer head down the same path of poor performance, loss of client confidence and clients I knew my job was going to be impacted. While discussing this with my wife, she said we’re young – you love to brew beer – why not see if you can open a brewery. Do what you love instead of another job. Thus began the earnest research and business planning to figure out how to start up my brewery. LW: How did you gather the required capital to start White Birch? BH: I used savings and current sales to fund startup costs and growth costs. LW: Where did the White Birch name come from? BH: My wife and I sat down and worked on names. We each had our lists. Mine were awful, she had some good ideas. 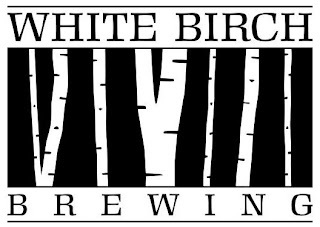 We decided on White Birch Brewing because we love the white birch trees on our property and we felt it conveyed a sense of New England. LW: How have you involved the community in your brewery? Do you interact with local homebrew clubs? BH: I have stayed a part of my homebrew club – Brew Free or Die. In fact, some of my earliest beers were made in carboys that I borrowed from generous friends in the club. These days I do tastings in stores that sell my beer to help get the message out about good beer and what I’m doing at White Birch Brewing. LW: With regards to selling your beer, what has been the biggest challenge you have faced in getting draft accounts or shelf space? BH: Managing growth has been the biggest challenge. I’m very thankful that here in NH I seem to have struck a chord with beer drinkers and have had some great support in the areas I sell. As much as I’d like to grow faster and be in more stores, I’ve had to grow at a pace I can manage. Often this means I risk running out of beer at a store or I can only give one case of the new style to a store even though that store might want more. Part 2 of our interview with Bill Herlicka can be found here. If you want to find out more about Bill or White Birch Brewing Co, check out the Yankee Brew News cover story on the brewery, or listen to Bill speak on the April 11th Sunday Session internet radio show produced by The Brewing Network.